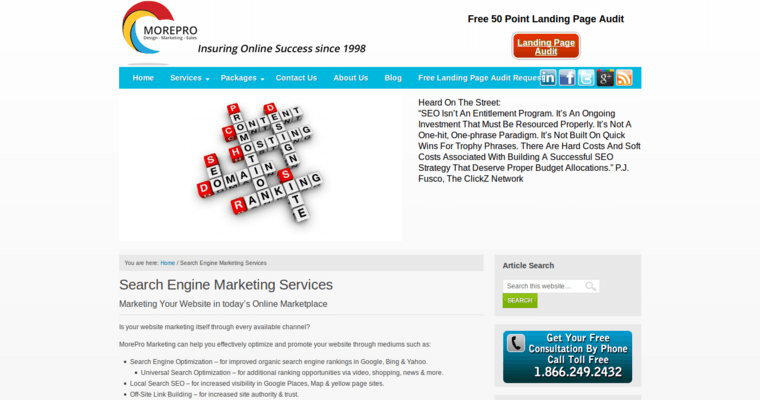 MorePro is a top-drawer SEO company that continues to win influential awards for the phenomenal work they do in the online marketing field. 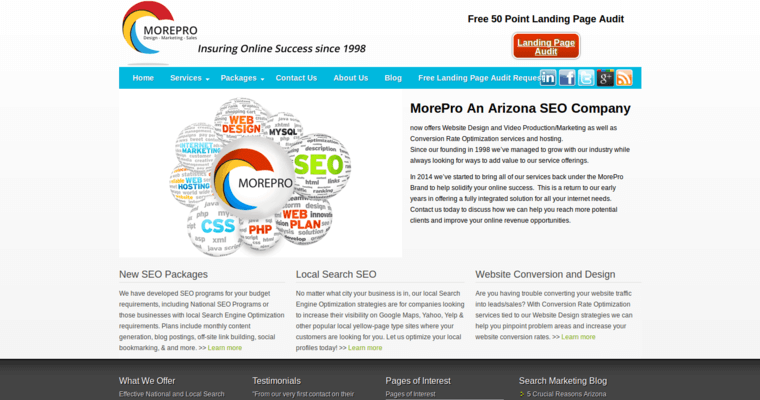 They offer their clients top SEO services that will aid them in increasing their visitors, sales and traffic. This firm will always brainstorm with a client to maximize their current content, help them make fresh content that brings them more sales and visitors and check for replica content problems, which will help get them the best results. 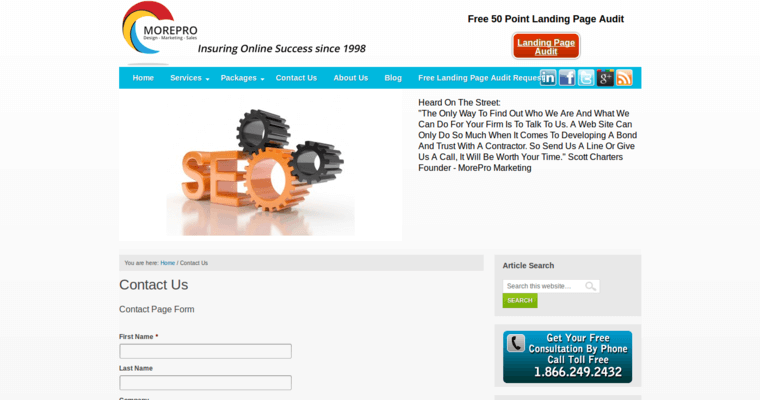 They will also obtain important, quality links for a client's site that will help drive crucial traffic as well as boost search engine authority.